Have you ever invested in social media ads before? When I was working in the digital marketing industry, my company dealt a lot with Facebook ads. So when I started my blog, I thought that Facebook ads were the place to be! I told myself when I had enough money to buy an ad, it would be on Facebook. But recently, I’ve taken the mindset of “don’t settle for something if you’ve never tried anything else”. My blogging strategy is 100% DIY. I like to do everything myself. Change things up, try new strategies, see what works and what doesn’t work. And then when I’ve got something to share with my readers, I write a blog post about it. 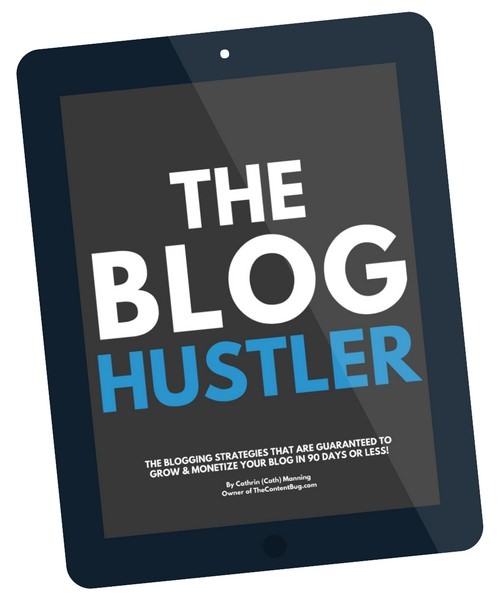 Last month, I launched my Blog Biz Bundle and my ebook The Blog Hustler. And I knew with this launch that I wanted to pay for some social media ads. But I didn’t really know where to get started. I had worked with Facebook ads before, so that was familiar. But I wanted to try Instagram in feed and story ads! And I wanted to see if Pinterest ads were worth it. So I turned it into a little experiment and tried all of them. Now before we really dive into this blog post, I want to tell you that I spent around $70 total for 5 different ads in a couple of weeks. So it was an investment for sure! When buying ads, you don’t have to spend as much as I did. You can simply put $5 down for a day and see results trickle in. But I decided to put in a little bit more money so that I could run the ads over a couple of days to make sure that I gave each platform a chance. Now that we got that out of the way, it’s time to share my results! As with anything, I think it’s important that you take a look at all the facts and do a little research on your own. 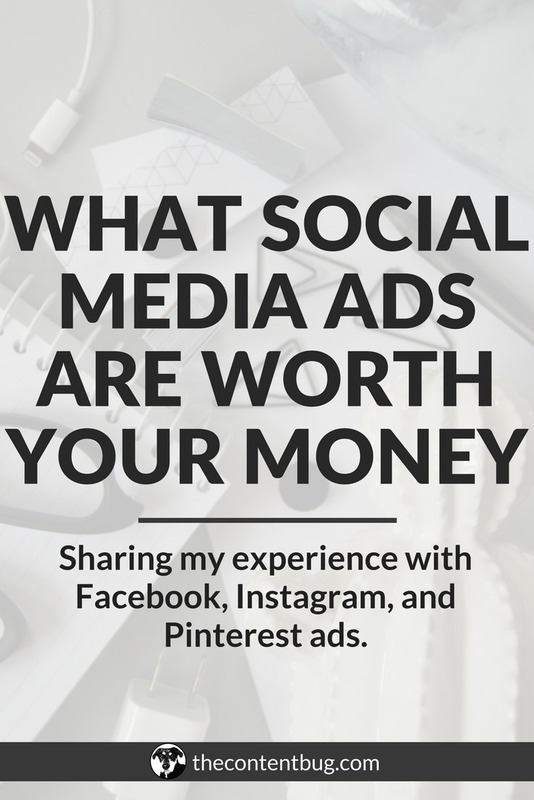 This blog post is about my personal experience with ads and what I would recommend to you. But of course, everyone (and every website) is different! So I would recommend trying out a few different strategies for a couple bucks each before you throw big chunks of cash at an ad. Now let’s break down each of the platforms and talk about my experience. I say we start at the very beginning. When talking about each platform, you’re gonna hear me say that I’ve tried some of these ads before. And it’s true. Last year I decided to throw some money at ads randomly. And I mean randomly! 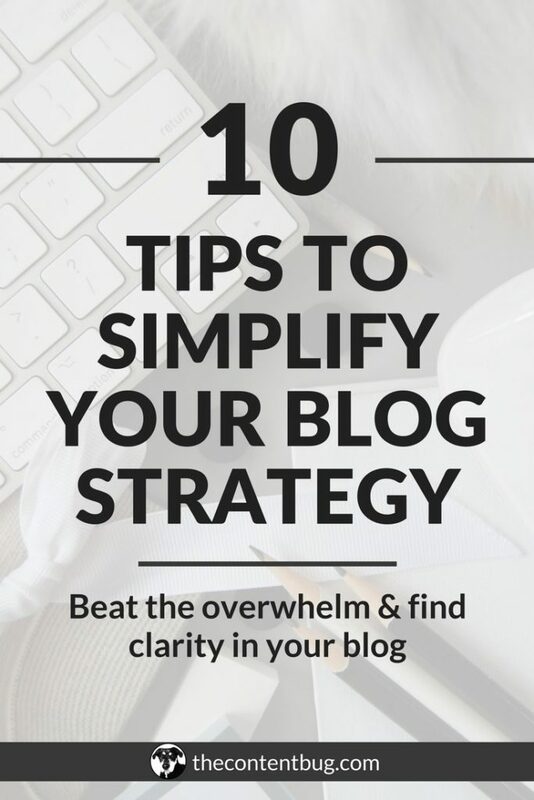 I would just get the idea in my head to create an ad for a blog post or a resource and I would do it. There wasn’t a set strategy. It was mainly just for fun to see if I got anything in return. For the sake of this blog post, I specifically want to talk about the ads that I ran during March and the very beginning of April. All of these blog posts had 1 goal in mind: to promote my new products. 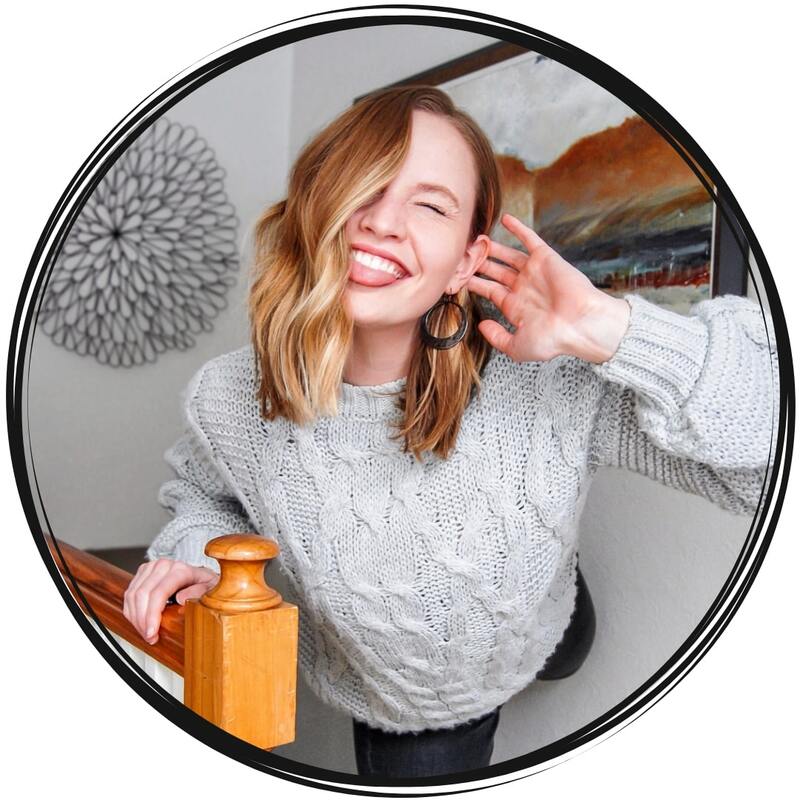 Some ads were driving traffic to blog posts, some were meant to drive traffic to a webinar, and 1 was even meant to drive traffic to an Instagram post with hopes that they would become interested in my account and learning more about the products I had to offer. The first platform I wanted to test when it came to ads was Instagram. When I was thinking about buying ads, I had heard a lot about the success of Instagram story ads. People were saying that they were performing really well if you created a video, added some text, and used the swipe up option. NOTE: Even if you don’t have 10,000 followers on Instagram and you don’t have the swipe up option normally, you can still use it when creating an ad! I also heard the recommendation to only run the same ad for 2 days at a time. Otherwise, the same people might see it over and over again and it’s not going to perform as well. When I heard someone say that the first 2 days were the most profitable, I believed them. And with this little bit of knowledge, I set out to create my own Instagram story ad. I created my Instagram story ad the exact same way I would create an Instagram story. I opened Instagram and started to record myself in the stories feature. This way the video was properly sized without me having to even do anything! After I recorded and saved a lot of videos on my phone (none of them actually went on my Instagram story), I watched back through and picked my favorite. Once I knew what video I was going to go with, I re-uploaded it to Instagram stories to add text to it. I messed around with a couple different says, placements, and fonts until I found the one I wanted. Then I saved it to my camera roll (not to my Instagram story) and I transferred the video to my computer. It wasn’t too hard to figure out how to create an Instagram story ad, because I was already familiar with the Facebook ads platform. But if you would like a tutorial on how to create an Instagram story ad, just let me know in the comments below! If you are new to social media ads altogether, it’s important to know that Facebook owns Instagram. So if you are creating an Instagram ad, you’ll want to use the Facebook Ads Manager. NOT INSTAGRAM’S PROMOTE BUTTON! Got it?! You can do a lot more with Facebook’s Ads Manager, trust me. So anyway. I ran an Instagram stories ad for 24 hours and only $10. To be honest, I could have run the ad for a little bit longer. I could have run it for 2 days but after my experience, I’m glad that I only decided to invest $10 for 1 day. Now you want to know what happened? You can see that in just 24 hours, I reached almost 2,000 people which is pretty good. And it says that I got 14 unique clicks to the landing page that I was trying to get people to land on. So overall, not bad right? Here’s the thing, at this point I had already heard so many good things about Instagram story ads. But I know for a fact that I click through every ad that I run into while watching people’s Instagram stories. And when I looked at my analytics, just about EVERYONE clicked through the ad and didn’t watch more than a second of it. After analyzing my results from this ad, I was pretty disappointed to see that only 185 people watched 3 seconds or more. And the average watch time for the ad was only 1 second. I mean come on! Really?! Instagram story ads are just too easy to skip and ignore. So to say the least, I didn’t notice any real return on my investment. The ad claims that it sent 14 people to the landing page, but none of them signed up for the webinar that I was promoting. So we’ll see if I decided to invest in this type of ad in the future, but as of right now… I’m saying no way. Next, I decided to just promote one of my Instagram photos as an In-Feed Ad to see how it worked. The main goal of this promotion was to get more followers and eyeballs on my Instagram account. So I created another ad through Facebook ads manager to be promoted on Instagram. I basically did the exact same thing that I did for the Instagram story ad. I had this in-feed ad run for only 24 hours and I paid $10. Now I’ve got to be honest… this is not my first experience with an Instagram in-feed ad. Last year, when I knew nothing about social media ads, I decided to promote a few posts on the actual Instagram platform. Although my analytics showed that I got significantly more eyeballs on my post, around 1,800 people, I didn’t notice a spike in my followers or any real ROI. And it says that there were 80 results. But again, I didn’t notice an impact from running this ad. Now I do want to say, that so many of the female entrepreneurs that I look up to use Instagram in-feed ads. And I don’t think that they would be running them if they didn’t see results. So I’m not ready to call it quits on these ads yet. I’ll try to learn more strategies and see what works best. But for this paid promo, it didn’t work out too great in my eyes. Let’s be honest… everyone is talking about Facebook ads. And it’s not because of everything happening with the government right now. It’s because people really believe in them! And before I tried any ads of my own, I had extremely high hopes for Facebook ads. I mean, practically everyone is on Facebook. And I know for a fact that my audience is. So if I run a few ads, I should see a spike in my website traffic and followers, right?! Just like Instagram in-feed ads, I had used Facebook ads before this year. But it was kinda just a test run. I ran 5 different ads to try and promo something mainly to see what kind of graphic performed the best and what audience had the most engagement. NOTE: Now before we get too far, I do want to tell you that I have the Facebook pixel set up. So that’s a big plus when it comes to setting Facebook ads. If you don’t have it set up and you’re thinking about running ads, I recommend setting that up now. So I decided to run 1 Facebook ad to promo a blog post that was part of my sales funnel for my online course. At this point, I had already known that video ads were performing the best of Facebook. But I didn’t want to waste my time creating a video for a tester ad. So I stuck with a photo for the ad and tried my best to create captivating text. This ad I ended up running for 2 days for only $10. I didn’t want to up my budget for this ad because I knew that I still wanted to try out Pinterest and I was already $30 in with this ad. So I kept the budget at $10 and I ran with it. In my eyes, this ad performed pretty meh. If I decided to run this ad for a longer period of time I do think that I would see better results. But for this 48 hours, I was pretty disappointed. And with a $2.50 cost per click, I would have to put a lot more money down to see the results I wanted to see. And I don’t have that kind of money right now. I know that Facebook is a great place to run ads. But you’d be surprised that this was actually not the best return on my investment when it came to testing out 3 different social media platforms. So let’s take a look at what happened with Pinterest. I never thought that I was ever going to buy a Pinterest ad. Mainly because it’s a search engine. And I know that my SEO is performing pretty well. I didn’t think that I needed an ad to boost my visibility on the platform. But I was pretty lucky and I had one of the affiliate programs I’m a member of pay to promote 1 of my blog posts on Pinterest. And from that promotion, my blog post ended up going viral! It’s been several months after the promotion has ended and it’s still bringing so much traffic to my website it’s insane. And I’m darn happy that I did. 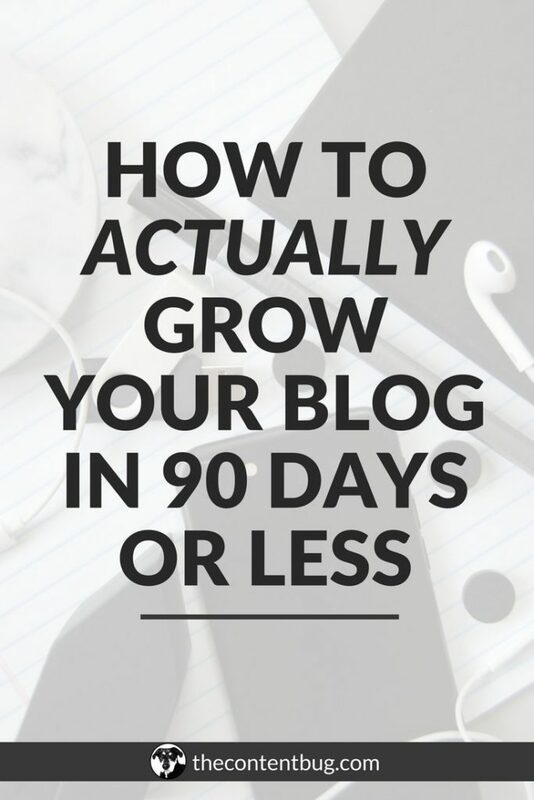 At first, I paid to promote my blog post titled How To Actually Grow Your Blog In 90 Days Or Less. And it actually performed pretty well. Well enough that I decided to extend the ad and throw more money at it. But at the end of the campaign, I didn’t see the results that I was hoping for in terms of impressions and clicks. But I wasn’t ready to give up on Pinterest yet. I decided that the blog post I was promoting was too gimmicky. I made up this story in my head that people would have looked at it and thought “yeah right” and kept scrolling. So what I decided to do instead was promote a Pinterest blog post! Those always seem to perform extremely well and I had just written a new blog post about how to skyrocket your traffic with Pinterest. So I gave Pinterest another shot. For the first ad I ran, I put $10 down for 2 days. But after a day I decided to up the budget to $20 and extended it to a whole week. So I spent $20 for 7 days with this first ad. Compared to the results I saw from my ads on Instagram and Facebook, to receive 34 clicks and 3,000+ impressions isn’t bad! And my cost per click was around $0.59 to $1. Which is definitely more affordable than what I saw on Facebook. Now let’s take a look at the results for the second ad. In just 1 week, my ad had over 12,000 impressions! Now that’s insane. But to be honest, I didn’t see as big of a return on investment when it came to clicks on my blog post since I only received 19 clicks. And my average cost per click was over $1 for this ad. So when I look at the 2 Pinterest ads, I would say that the 1st ad performed the best. But I was pretty happy with both of them. And based on my experience, I would run more Pinterest ads in the future. Now let me explain why I would choose Pinterest ads in the future over Instagram and Facebook ads. NOTE: I understand that these 7-day ad results don’t exactly compare to the 1-day ads on Instagram and the 2-day ad I ran on Facebook. 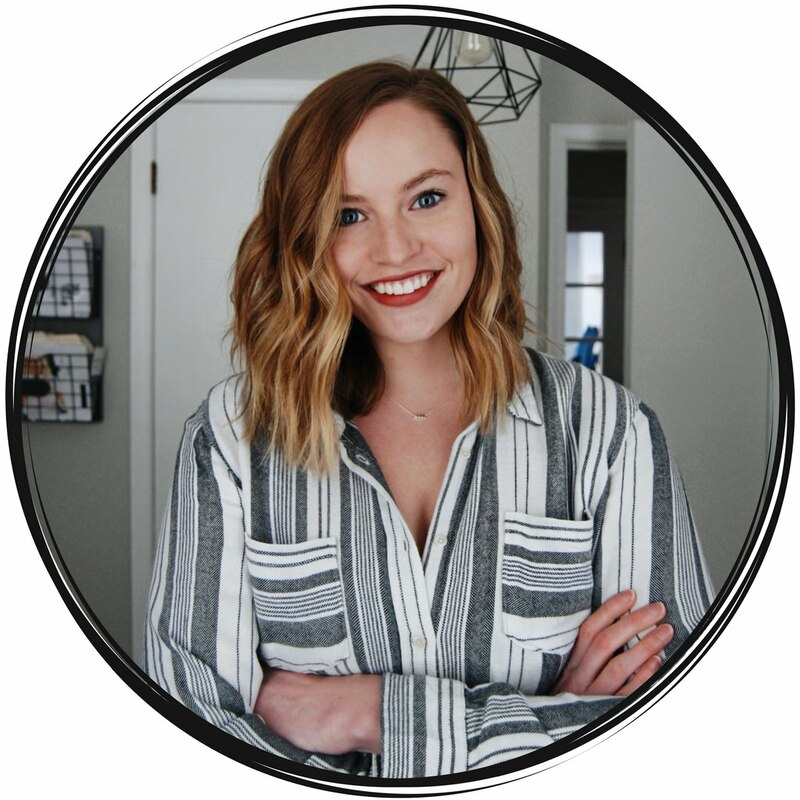 But based on the results I saw on Pinterest in just 1 day, I wanted to explore what could happen if I increased the budget and extended the timeframe. To make everything fair, I should have done the same thing for Facebook. But with the average cost per click being so high, I didn’t think it was actually worth my investment. At this point, you probably aren’t surprised that I think the Pinterest ads performed the best. I mean it’s pretty clear since I decided to invest the most amount of money and time into these ads. But you might not agree with me. You may be thinking that I should have run each of the ads for the same amount of time for the same amount of money. And if I did that, then I might choose Facebook to be my favorite. And you’re right. But the reason I think that Pinterest is the best place to run social media ads for bloggers isn’t 100% because of what happened while I was running the ads. It was mainly because what happened after I decided to run the 2 ads. Now you’d think that after an ad campaign is complete, the results stop. And that was true with Instagram and Facebook. After the ads were over, it was like nothing ever happened. But for Pinterest, it was different. The weeks following the ads, I noticed a big spike in my Pinterest followers. And I’m talking about over 150 new followers in 2 weeks. For several months, I was stuck around 650k average monthly viewers on Pinterest. I would look at my analytics every week and my monthly viewers would fluctuate around 550k to 650k. 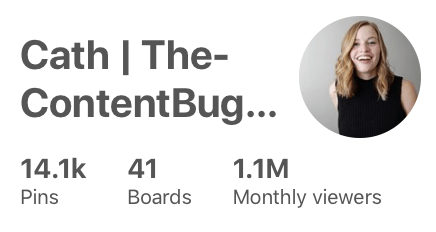 My analytics spiked from an average of 650k monthly viewers to over 1.1 MILLION monthly viewers on Pinterest. And this happened 2 weeks after my ads campaigns ended on Pinterest. You might be thinking that my monthly impressions went up because it’s taking into account what happened when I ran those 2 ads. But both of those ads combined only resulted in 15,000 impressions. So I don’t think that’s 100% true. After that other company paid to promote one of my blog posts on Pinterest, the aftermath of that promotion was the best part. Every month I still receive over 100,000 impressions with just that pin! And now that the promotions that I created are over, I’ve noticed that the second promotion is still receiving a ton of impressions every day. And after I ran the ad on my Pinterest blog post, I noticed that all of my other Pinterest related pins started to gain more traction. And I’m talking about pins that are over 1 year old. So here’s what I think: Pinterest rewards people who promote pins on Pinterest. I honestly believe that Pinterest helps to improve the visibility of people who are willing to pay for ads on their platform. And because of this, I’m 100% willing to put more money into Pinterest ads in the future. I created this blog post to simply share my experience. I talked a lot about my opinions. And what social media ads I believe are worth the money. But these opinions are just mine. And now it’s time for you to form your own. So I honestly want to know what your experience has been with ads. 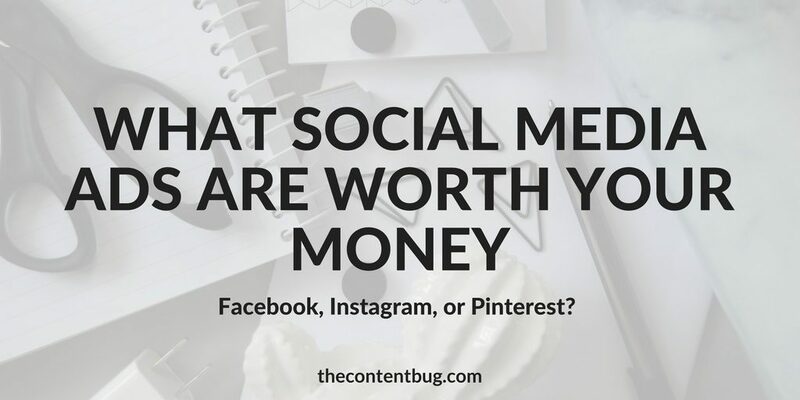 And what social media ads you’d be willing to invest in. If you’re willing to share your thoughts to help other members of the TCB community make their decision, please do so in the comments below! I think it’s extremely important to experiment because what works for someone else might not work for you. If you try Pinterest ads, make sure you let me know how it goes!